Singapore – The risks of serious environmental and social impact caused by poorly-managed supply chains can be avoided with improved practices that will also benefit business, according to a new guide released today by WWF. 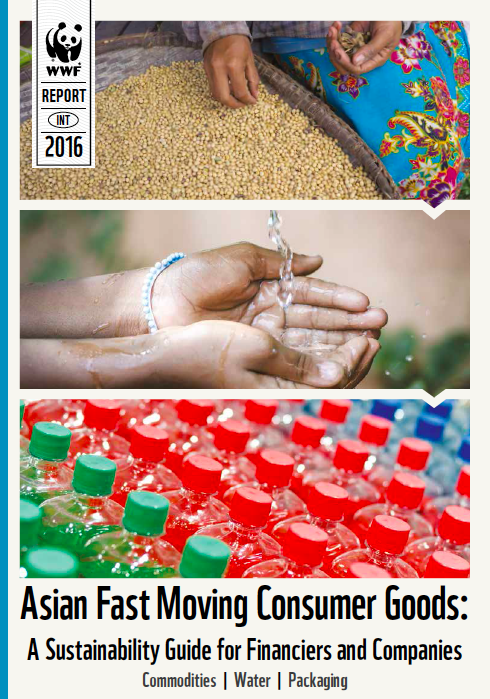 The guide, “Asian Fast Moving Consumer Goods – A Sustainability Guide for Financiers and Companies”, is the first-ever review of public data on soft commodities, water and packaging from 26 companies in nine Asian countries* and identifies key risks, sets out the business benefits of sustainable practice and provides practical recommendations for improvement. 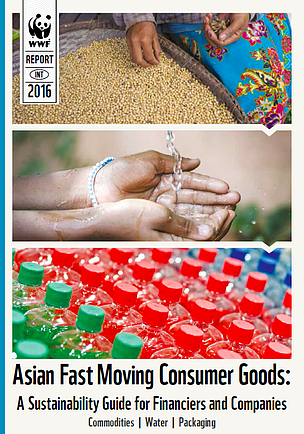 Asian Fast Moving Consumer Goods (FMCG) – defined as food and beverage, household and personal care – are an important economic growth sector for Asia and a crucial component of financiers’ portfolios due to a growing middle class population and urbanization in the region. But companies risk serious environmental and social impacts over coming years if their supply chains are not well-managed, especially those relating to ‘soft’ commodities (agriculture, forestry and seafood), water and packaging. “Overall, Asian FMCG companies have a low awareness of environmental, social and related business risks compared to Western FMCG companies that are leading on sustainability. They have made limited progress in managing risks due to less scrutiny from customers, financiers and civil society. Corporate disclosure, investor engagement and due diligence by lending banks are also low in the region, though this is starting to change,” Stampe added. Through the guide WWF is challenging Asian FMCG companies to implement sustainable sourcing policies based on credible, international certification schemes with time-bound targets and regular progress reports. WWF is also calling on companies, to demonstrate sound leadership in water risk management using WWF´s Water Risk Filter, and to develop packaging strategies that meet product needs while providing maximum benefit for the system as a whole. “The FMCG sector’s vulnerability to extreme weather events and water and food crises emphasizes the need for companies and financiers involved in the sector to better understand and manage such risks. Active participation through multi-stakeholder platforms to jointly develop, implement and promote practicable and acceptable sustainability standards has now become imperative,” said Ben Ridley, Asia Pacific Head of Sustainability Affairs at Credit Suisse, which supports the guide. WWF recommends financiers of Asian FMCG companies assess their portfolio companies, banking clients and potential new investments as a priority, linking costs and access to capital to more sustainable practices. “Companies alone do not have the means to move towards more sustainable products. Support from their financiers through active investor engagement and due diligence by lenders is also essential,” said Stampe. The guide was released today at the 3rd Singapore Dialogue on Sustainable World Resources organized by the Singapore Institute of International Affairs.